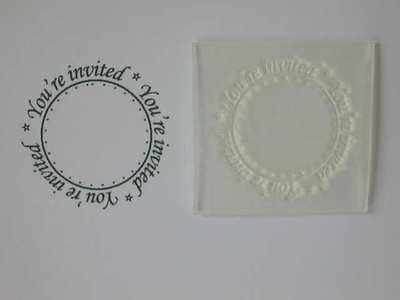 A decorative circle stamp for invitations. It has the text 'You're invited' around the outside. 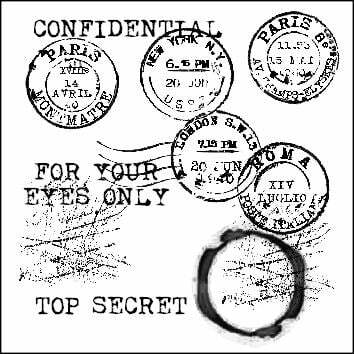 Can be used to make embellishments for invitation cards, or stamped as a seal on envelopes. Stamped area is 3.5cm x 3.5cm.